The Supreme Court bench of Chief Justice Ranjan Gogoi and Justices S. K. Kaul and K. M. Joseph on Monday asked the Bombay High Court to consider the question of the validity of the sanction for the prosecution of Lieutenant Colonel Shrikant Purohit under the Unlawful Activities Prevention Act (UAPA) in connection with the Malegaon blasts. The bench was hearing the SLP preferred against the October 29 order of the High Court refusing to stay the proceedings before the National Investigation Agency (NIA) court in the interim. Senior Advocate Harish Salve submitted before the bench that the matter is already pending in the High Court and is scheduled to be heard on November 21. It was advanced that the NIA has not filed its reply so far and insists on seeking adjournments. The bench was also informed that the charges against Purohit have already been framed. A National Investigation Agency (NIA) court had in October rejected the plea filed by Purohit, one of the accused in the 2008 Malegaon blast case, demanding that charges against him under the UAPA be dropped. Special NIA court judge Vinod Padalkar had termed as valid the sanction for his prosecution. Six people were killed while more than hundred got injured in the blast that took place on September 29, 2008 in the Muslim majority town of Malegaon. 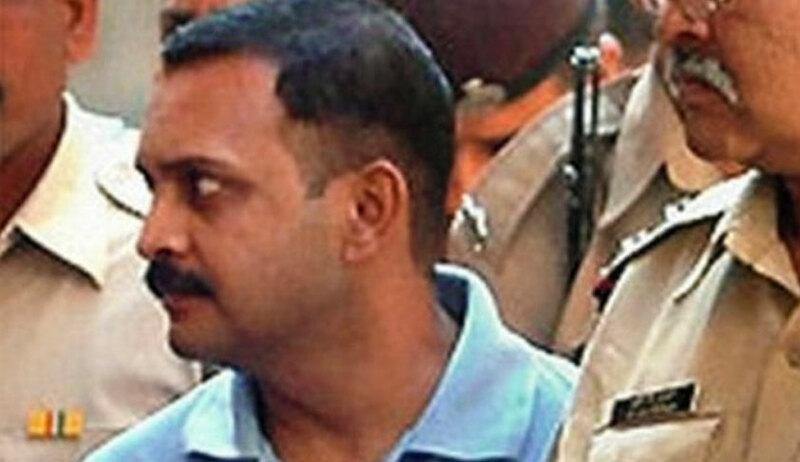 Mr. Purohit was among the 11 people chargesheeted by the Maharashtra Anti-Terrorism Squad in January 2009, in connection with the case. The investigation was transferred to the NIA in April, 2011. Sanction for his prosecution had to be obtained since he was a serving Army officer at the time. The requisite sanction was issued on January 17, 2009, by an additional chief secretary of the Maharashtra Home department. Thereafter, in December last year, the Bombay High Court refused to quash the sanction for Purohit’s prosecution. The court, however, gave him and the other accused, partial relief by dropping all charges against them under the stringent Maharashtra Control of Organised Crime Act (MCOCA). He had then moved the Supreme Court but was asked to go back to the high court and file a fresh plea, which is now pending. Purohit had also approached the Supreme Court in August the year, seeking a court-monitored SIT probe into his alleged abduction, illegal detention and “brutal torture” by Maharashtra ATS coercing him into making a confessional statement of his involvement in the blast. He had sought compensation for the same as well. His plea was, however, rejected by the Supreme Court. Meanwhile, the Bombay High Court had also, in September, refused to defer the framing of charges against Mr. Purohit and the others accused in the case. He had demanded deferment of the framing of charges against him until his main appeal before the high court challenging the validity of government sanction to prosecute him is decided.